FRAMED PRINT. 22x18 inch (56x46cm) Framed Print with Black Satin with Off-White Digital Mat. 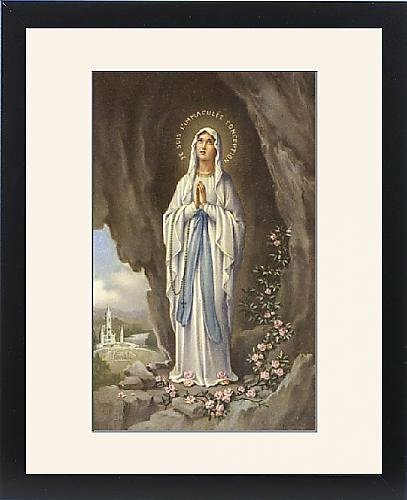 Artwork depicting NOTRE DAME DE LOURDES. The Virgin Mary as supposedly seen by Bernadette - a highly romanticised Italian depiction. Shipping from USA. Artwork Description... The Virgin Mary as supposedly seen by Bernadette - a highly romanticised Italian depiction.